In order to reward my regular readers, I have devised the following discount program. The Bundle pricing represents a full 25% discount from the retail sales price of the books in the Bundle. You will notice that Bundle No. 1, including the title, “WoodWorks” is a bit higher than the others… this is simply because that title is printed in full color so as not to diminish the photographs it contains… the volume is printed in full color which causes the price to be a bit higher… if you are in Canada, or elsewhere in the world, contact me directly on Facebook and we will adjust the shipping for you. Traces the history of the Bluff Creek area of N. California from the Jerry Crew incident of 1958 through the Tom Slick expeditions of the early 1960′s and the Patterson Gimlin film through the author’s ronnyvous there in 2014. Woodsworks is the written account of our 5 year research project into the glyphs and structures the Sasquatch People have left us… this volume is in full color, hence costs a bit more, but well worth it. An adventure novel with a strong woman as the focal point (my ideal, btw) who comes to learn something of the healing powers the Sasquatch People possess. What would happen if a meteorite the size of the one that did in the dinosaurs (and 90% of all species then living) 60 million years ago. 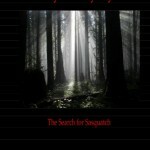 Some of the most ‘in depth’ discussion of Sasquatch People’s abilities, rituals, etc. As much as this event would deal a world filled with tragedy, with the utter elimination of much of life on Earth… here and there would be pockets such as the one we follow in their struggle in their fight for, first, survival, then for tenure in the post apoplectic world. In all, this is a story of triumph rather than tragedy. A novel of the earliest Mountain Men and their dealings with the indigenous peoples they found in the great western lands. Begin with the fantastic escape from death by the Legendary Hugh Glass and follow the exploits of this group of brave men as they learned the Indian Way and created some relationships that lasted throughout the western era… and others that did not. Meet the beautiful Shoshone Shaman who’s abilities to read what was to be astounded even her husband, the nephew of Hugh Glass.This is an historical novel. Many of the people in it are real… others are not, but should be. It tells a story of events that most of us cannot even imagine, but, even if not actually true, are plausible and are reflections of what actually DID happen there! Some of Thom’s best writing is in this book. Purchase it and read it over and over again and you will begin to feel the energy that is the Rocky Mountain West. This grouping is a list of three books I have edited and published for other authors. Each of these volumes tells of the individual’s growth in the knowledge of the entity we call sasquatch or bigfoot. Gorgeously illustrated by Thomas Finley. Kathi Blount… Another first rate account of a journey from not knowing what people were even talking about when they mentioned sasquatch or bigfoot to having her own, face to face, eyeball to eyeball encounters.I consider Kathi’s book to be as good as it gets in this genre. So much is to be learned from her and her journey from darkness to knowledge.